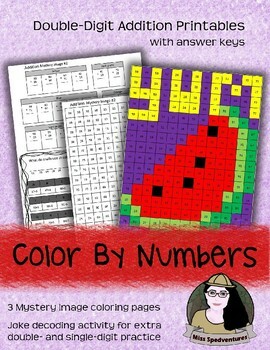 The full bundle with 6 addition and subtraction mystery images can be purchased for $2.75 HERE. 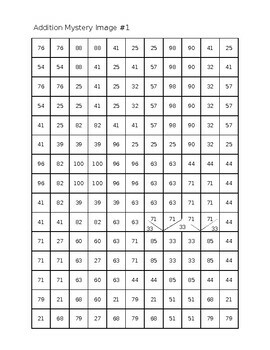 This collection of no-prep printables focuses on double-digit addition to color coordinate grid mystery images - each one comes with a bonus joke/riddle decoder. All are simple, fun, and ready-to-use. Answer keys are included! These are perfect for spring time or summer school, and can be chosen to fit student interests. Students can complete these activities for math centers, independent work, morning work, sub plans, homework, early finishers, etc. These will be great in the regular education classroom, resource rooms, or other intervention settings! 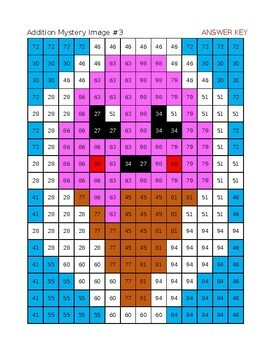 Check out the 3 different subtraction coloring pages right here! 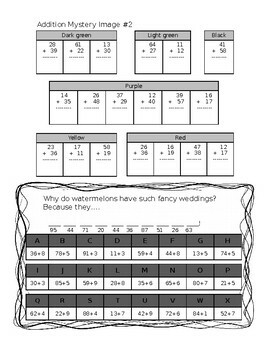 Or consider getting all 6 addition and subtraction versions in for $2.75 in this bundle!